Anton Hermus is partner at Business APS bv. He has a background in Chemical Technology and Electronic Manufacturing. He started his career at Dow Chemical. Afterr several international management functions in research and commercial technical service he became as director responsible for several production processes. After 15 years career in the chemical industry he moved to electronic manufacturing among others for Neways and Alcatel. Subsequently he became CTO of a privat owned organisation, producing adsl products for the telecom industry (Alcatel), led screen boards for applications indoor (shopping malls) and outdoor (pop concerts) (Barco) and Medical products for the Healthcare industry. 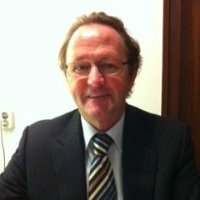 Recent years he is active in helping entrepreneurs with their success by implementing complex cross-functional initiatives, with specialism on product development and implementing new product processes, in combination with financial support initiatives with investment funds, private capital and other capital sources.